Bon Appetit magazine today released its list of the best cookbook stores in the world, and it’s no surprise that Paris’s fantastic Librairie Gourmande is among them. 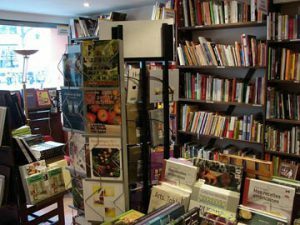 “Food and wine books, old and new” is the motto of this two-level gold mine of cookbooks and other cuisine-related reading. Most of the material is in French, although there are small sections of English-, Italian-, Japanese- and Spanish-language publications. But there’s literally no French book related to cooking, baking or fine dining published in the last 100 years that isn’t available at the shop or by special order if it doesn’t happen to be in stock. Simply ask a staff member for help navigating the massive retail space; all speak fluent English and have an encyclopedic knowledge of the shop’s inventory. 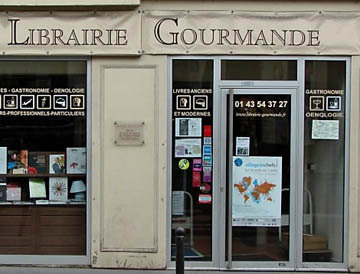 This entry was posted in Culinary Supplies, Food, French cuisine, Shopping and tagged bookstores, cooking, culinary supplies, French cuisine, Librairie Gourmande, Right Bank by Bob Adams. Bookmark the permalink.